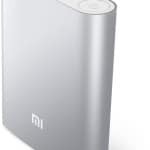 If you are an iPhone user and you always faces the low battery warning and don’t want to carry the bulky power bank then you are at right place. Here we are going to introduce you to new external battery type “POWER CASE”. 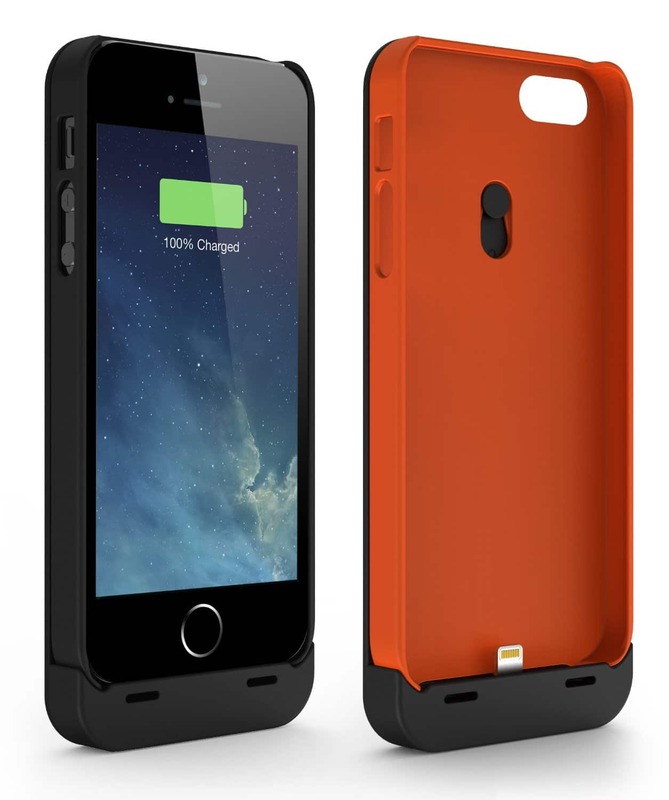 The power case is a combination of a power bank and phone cover or case. The power case provides the emergency juice and you don’t need to carry anything extra with it. Just put your phone in power case and you are done. You can charge or sync you i-phone while case is on. Easy to use easy to carry adds some classy looks to i-phone and last but not least save the i-phone from dying. The case is perfectly shaped to fit Iphone in and has kick stand for streaming videos. All buttons and audio jack and power jack can be easily used through the case. Has single-touch button to start and stop the charging. Has a solid look. Does not interfere with screen but feels like two Iphones are in your hand. Solid has 4 LED at back and single touch start stop button. Each Led shows 25% power. The power bear charging case provides big capacity of 4200 mAh which adds almost 125% of battery life to Iphone 5 or 5s or 5c. The POWERBEAR has unique feature of USB port on side of case that allows you to charge another smart phone simultaneously. This case has LED indicator backside and a on /off button. Also has kickstand to enjoy videos and facetime. 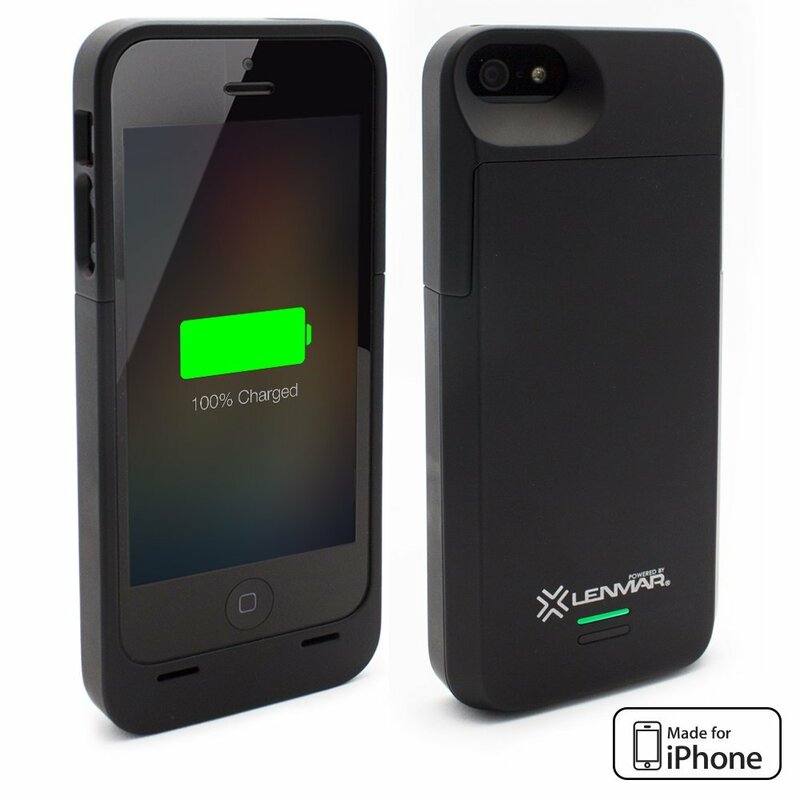 The another battery case adding few hours of battery in your iphone 5s is Lenmar Meridian with capacity of 2300 mAh. MFI approved case is slim and protective slim design adds features to case. Easy access to all buttons of phone and unique design. Back side has power on/off button and single line LED indicator showing juice left in case. Solid has 1 LED at back and single touch start stop button. 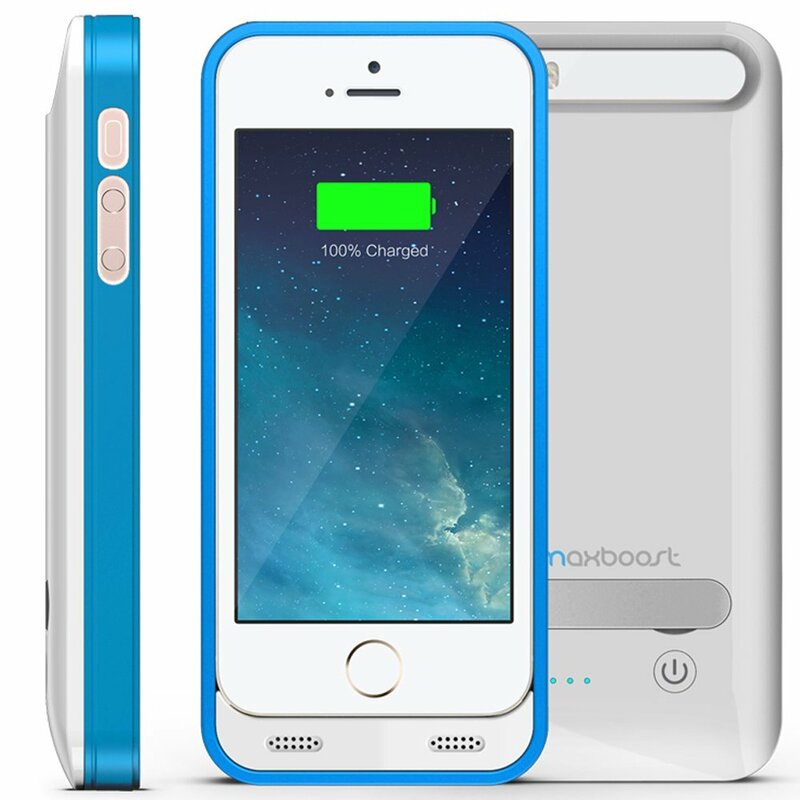 Maxboost comes with 2400 mAh of capacity adding 120% of battery life to Iphone 5 or 5s almost 11 hours of talk time. The case is also a protective hardshell and light weight which protects the phone from wear and tear too. You can use the usb port while charging and pass-through charging is provided. Has a kickstand for video streaming. Audio jack extension is provided with battery case. LED battery level indicator, charge & sync through the case, charging switch, function button cutouts and hands-free kickstand, headphone jack cutout. The 1byone battery cover is Apple MFi certified so no need to worry about compatibility with Iphone. The 1byone comes with headphone extension which makes it easier to connect headphone while phone is in case. You can charge phone while synching to itunes too. Kickstand is provided for videos streaming, gaming, facetime. Charges Iphone within 2 hours and has protective IC circuit to avoid short-circuit. This case is Apple MFI certified and comes with one year warranty. Another well known brand in external power banks has come up with this battery case for iphone 5, 5s. 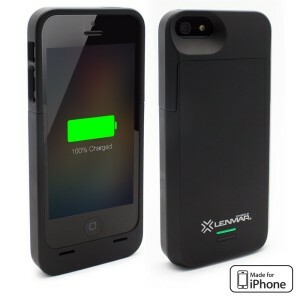 This case provides 3000 mAh of battery capacity which adds almost 125% of battery life to iphone. The design makes it unique as it has adjustable stand whit which the Iphone can be placed at angles on flat surfaces. Apple certified case has advance smart overvoltage and over current protection. Has 4 LED at front bottom representing power left in case. The battery case has almost same weight as Iphone 5s. the battery case is Apple certified. Solid has 4 LED at front representing power left in case 25% each.Has a single touch start stop button. 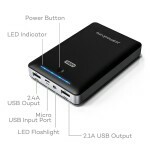 The Anker is well known brand for external batteries and they have done well in power case too. 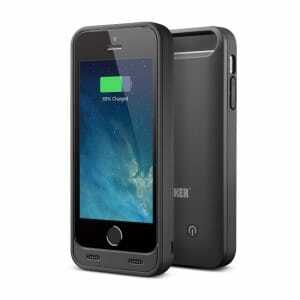 The Anker is providing the 2400 mAh power case for Iphone 5s. the case is MFI certified and compatible with all iOS versions. The case doubles the phones thickness but also doubles the battery life too. Case has 4 LED lights at back representing 25% charge each. 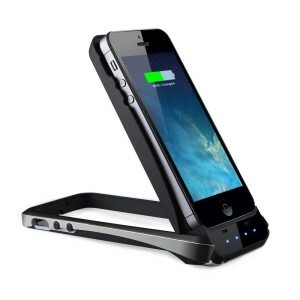 The case adds almost 120% of battery life to iphone 5. Solid has 4 LED at back which represents 25% of charge each. Has a single touch start stop button at back. This battery case is by Jackery which is well known brand in external batteries. 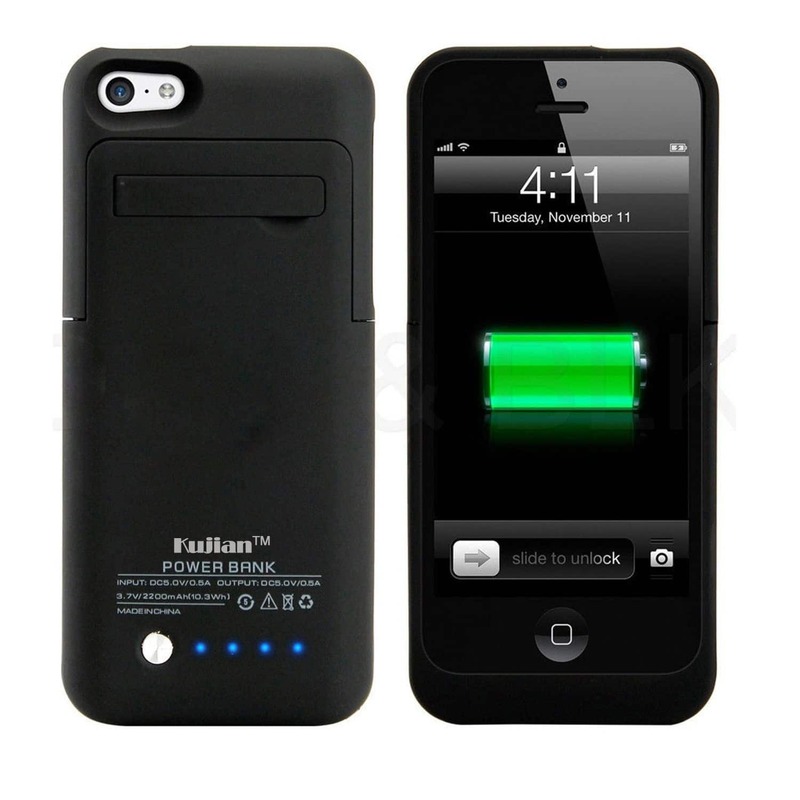 The case has 2400 mAh of power capacity providing almost 100% battery life on emergency. The case is compatible with phone 5 and 5s with latest iOS. Has 3 color LED which indicates the remaining power in case. The case also provides protection from droops ad wear and tears. Solid has a LED at back which changes color according to remaining power in case.has a single touch start stop button. The stamina battery case has 2400 mAh of power and can give you Iphone 5 or 5s a boost of few hours. Battery case can be charged while case is attached to phone so pass-through charging is possible. The power button is provided on the back of case and also a kickstand for video and face time. Has a smart technology to avoid over charging and over heating of case. Stalion provides 24 months warranty for this product. 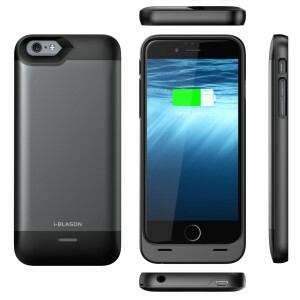 The i-Blason provides the battery case for Iphone 6 with 3200 mAh of external juice to you phone. 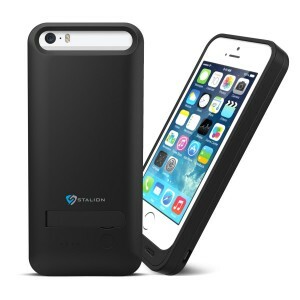 This case has built in battery and also provides the protective covering too. Apple MFI certified case adds almost 1005 battery life to iphone 6. Has exact fitting to phone easy access to all functions, ports, buttons camera. The battery case adds a classy look to iphone. Back side has a LED indicator showing battery left and easy use on/off button. 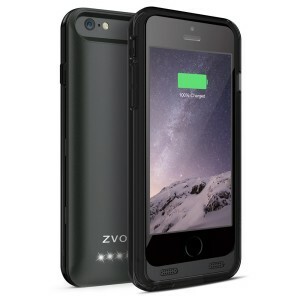 Zvoltz ZT6 battery case comes with 3100 mAh of battery capacity which can many hours top you Iphone 6. This case is Apple MFI certified and comes with one year warranty. ZT6 fit the Iphone 6 very easily and gives it a classic look. This case also provides synch-through and charge-through technique so no need to remove case every time. Has 4 LEds each representing 25% charge left. 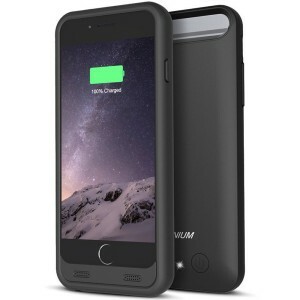 The trianium atomic s battery case is designed for iphone 6 and has capacity of 3100 mAh. 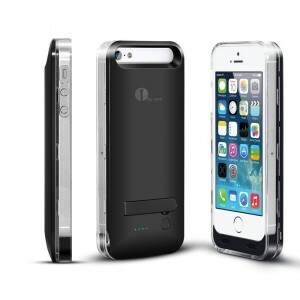 This case adds almost 100% more battery to you iphone 6. Case has nice design providing protection to back side with hard backplate so no scratches and daily wear tear. Provides synch through so no need to remove case for very use. 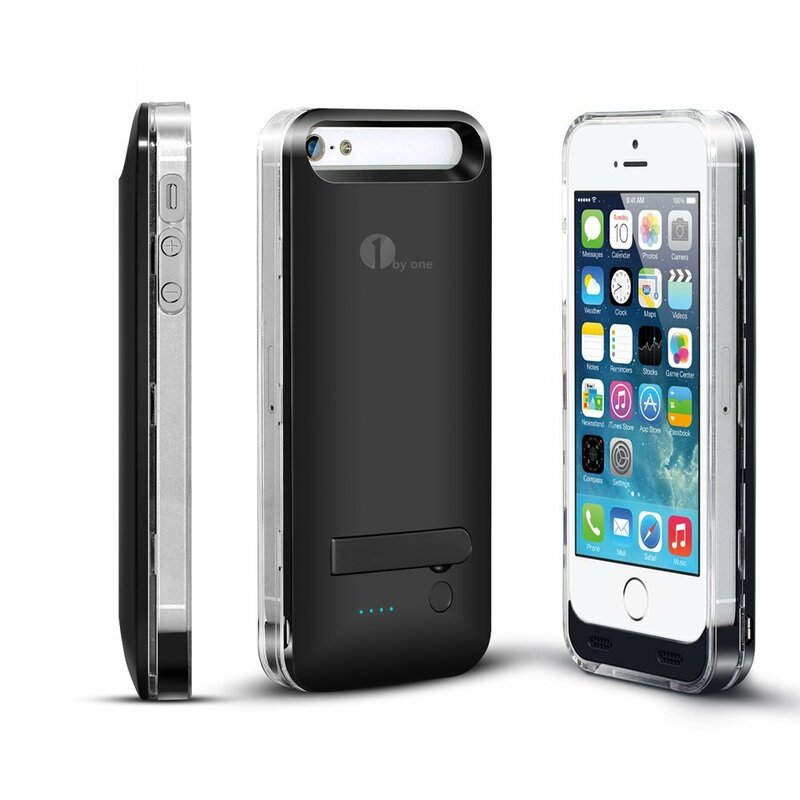 The UNU DX iphone 6 battery case has 3000mAh of juice capacity and can extend the battery life to 125% more. 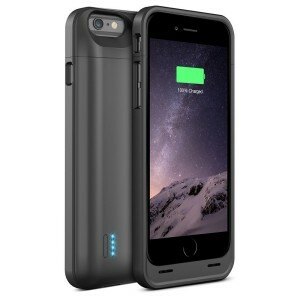 This case adds almost 15 hours to battery life of Iphone 6. The battery case secures phone from scratches and droops too. Has synch-through technology so you can charge and synch while case is on. Has 3 color power indicators showing charge left in case. slim and elegant design and all buttons can be used easily. And last but not least certified by Apple. 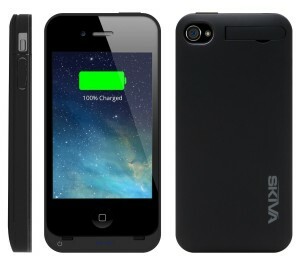 The skiva powerskin A4 is battery case charger with capacity of 1400 mAh. This battery case is APPLE certified and 100% compatible with iphone 4 and iphone 4s also with latest iOS. Case is light weight and adds very little weight to phone and adds almost double battery backup.